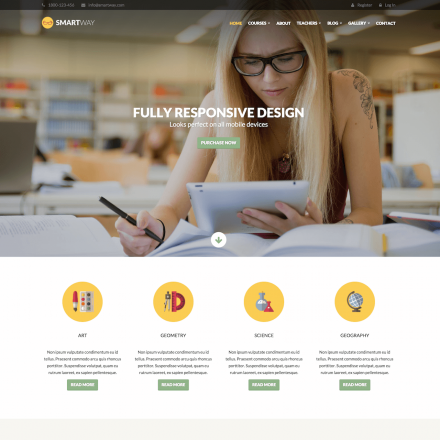 Smartowl is a premium WordPress theme. You may translate it to your language with Poedit translations editor. 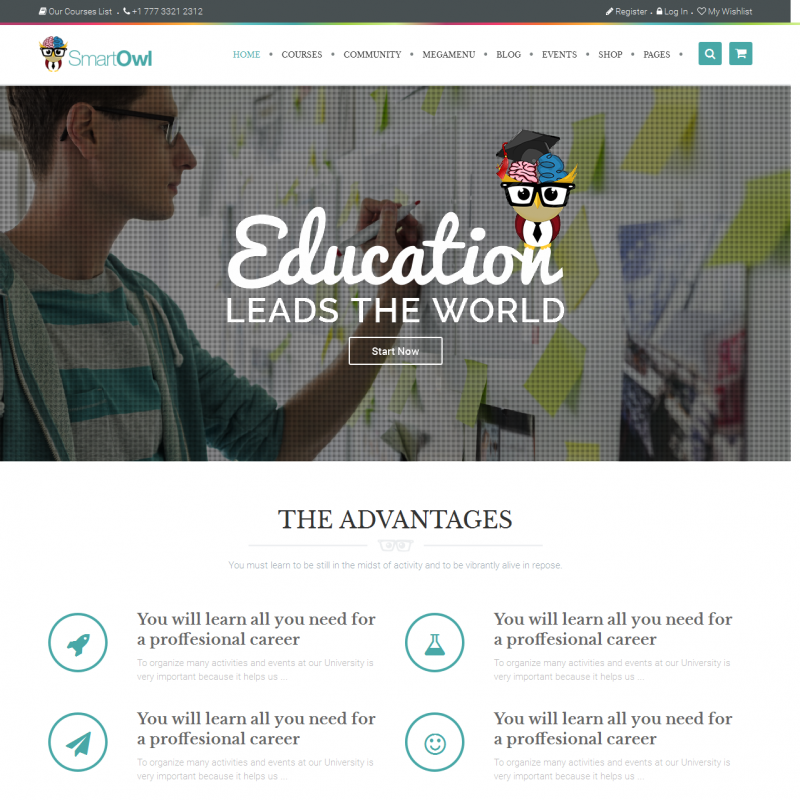 The Smart OWL theme is designed for sites that provide online learning. The vivid design makes the theme suitable for sites that provide education opportunities for children and youth. 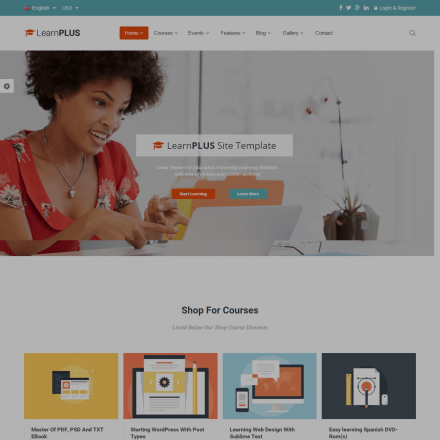 The theme is compatible with the WooCommerce and Events Calendar plugins, and also comes with a range of premium plugins: Visual Composer, Slider Revolution, Mega Main Menu, Video & Background Parallax. For an online store, there is a quick view and comparison function; users can switch between grid and list layouts and you can place banners with information about store promotions. Smart OWL allows you to customize the appearance of the header and the footer of your site, as well as fonts and colors. The theme can be configured via the Redux-based options panel.